In view of the well-attended conversations following morning worship during the Christian Values series, the planned BIG Team update will not take place this Sunday. The next update will take place on Sunday February 24th. This is the first Sunday following the Christian Values series and is the first Sunday of Lent. If you have any question about the building of the Fold, please ask one of the team members: Gareth James, Mervyn Flecknoe, Peter Jackson, John Sykes, Harry or Christine Leighton, Michael Haworth. Members of the Church Council will receive a full update at the meeting on February 7th. We regret that there will be some internal disruption as drain connections are made within the Dry Store, Room 3, and the Flower Cupboard. These will be completed before February 4th. 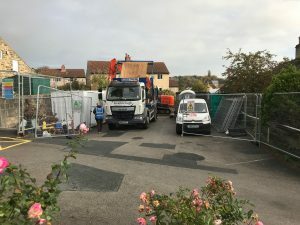 BUILDING WORK HAS BEGUN to replace the Marley Hut with a two-storey building of the highest environmental standards for youth and community activities. 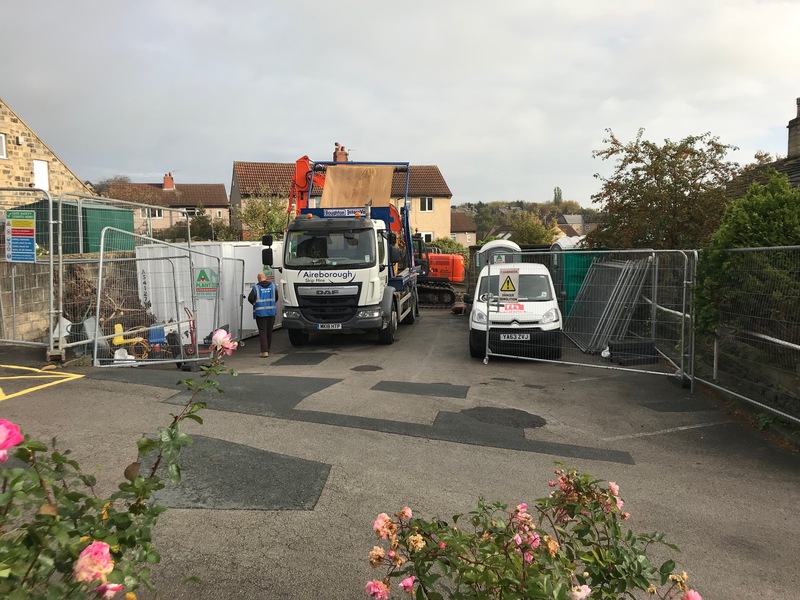 Building contractors, Paul Smith Ltd are already working on-site. 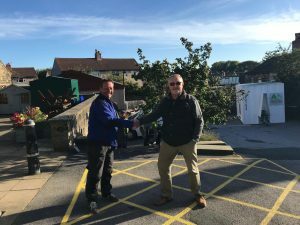 Phase 1 Replacing the single story 1950s temporary Marley Hut building with a two-story, very low energy consumption “PassivHaus” building – the first such community structure in West Yorkshire! 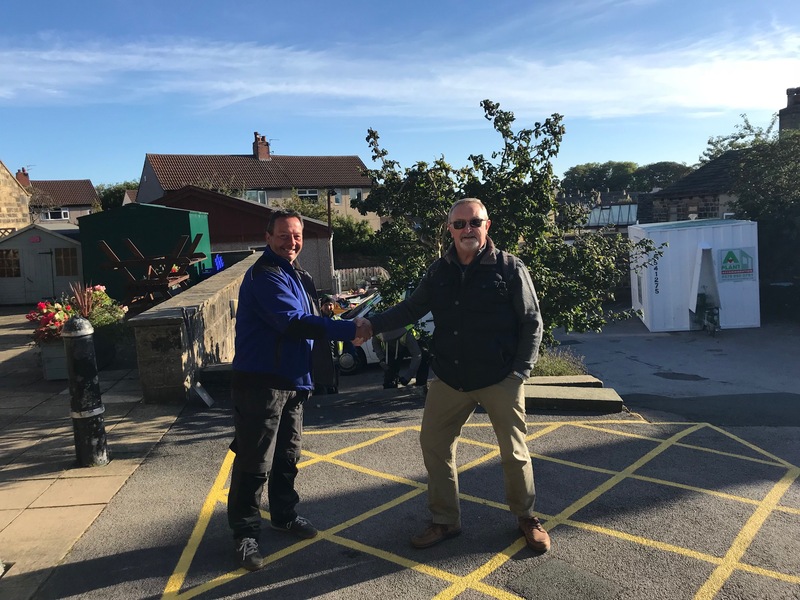 This enables us to dedicate facilities for Baildon Village Pre-School in our joint objectives to double the number of childcare sessions they offer and provide a new multipurpose hall through which to deliver more community services. Phase 2 / 3 We hope to make improvements in Wesleys Café area, toilets, and meeting rooms; and to continue renovating the Church, expanding capacity, upgrading access, making it more sustainable, and dealing with matters that would otherwise become a material revenue cost burden on Baildon Methodist Church in the near future. We aim to reduce energy consumption to 40% of 2009 levels and generate at least half of those future energy needs from on-site renewable sources – thus slashing our ‘net’ energy bills to at least 15% of 2009 levels. • Increasing the highly popular provision of table tennis; and open new indoor activity groups. • Transforming access for people with mobility difficulties, wheelchairs and children’s buggies/prams. To start building Phase 1, in autumn 2018, we have achieved an amazing balance in the BIG Fund of around £700,000. An additional £200,000 will be needed. Nearly there! If everyone who has used the Marley Hut since it was built (as a temporary building!) in the 1950s donated just £1, we would have enough money to complete the work. Fundraising from individuals who pay income tax can be Gift Aided for an additional 20 percent. Contact us to find out more about how you can boost your fundraising efforts in this way. We now have a Virgin Money Giving Charity page which can help you raise money in this way – whether through campaigns, events or direct donation giving. 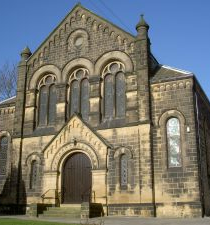 • Do you belong to, or have a connection to a good choir, or musical ensemble, or other entertainers that you could invite to come and perform at Baildon Methodist Church to raise funds? • Could you arrange an auction – of unwanted goods, or of promises. • Or might you like to plan a car-boot sale in the church car-park or a talents and crafts exhibition? Also, see our link to easyfundraising.org.uk and even more ideas below! If you would like to directly help our BIG Project – you can Buy A Brick here! Through grants and matched funding schemes, we aim to raise at least 4x the amount of private donations – so every brick you buy will go far! We will also include the names of all Buy a Brick donors in the BIG Project Time Capsule. This will be ceremonially laid in the floor of Wesleys cafe, once work is completed. What are your talents and can you make them grow? What are your talents? Can you make them grow? Good at making cakes? Why not organise a cake stall after morning service? Good at gardening? Why not offer to advise or help someone with a gardening job, such a pruning, or taking cuttings – and ask for a small donation in return? Or why not open your garden to visitors. Good at babysitting or car-washing? Why not offer your services and ask for a small donation? Good at sewing, or garment-repair and alteration, or woodwork? Why not advertise your services in return for contributions to The BiG Fund? Good at cookery or photography? Why not put together a recipe book or some local photo-cards for sale? Get yourself sponsored. Sponsor forms are available from the Stewards. Organise an event (perhaps with a group of friends)(Depending on your level of fitness – this could be to walk many miles, or just a few laps around the church. To give a cheque or cash, please call in at Wesleys Café during opening hours. Remember to “Gift Aid” any donations you make to the church so that we can reclaim tax from the government to enhance the amount of your gift. Share this fundraising request, choose your platform! What will YOU do to help us to raise money for THE BiG FUND? The BiG FUND needs your help, don’t leave it to others. Can you make a difference?